Description: Not much is really know about him, but usually has urges to take anything extremely valuable that catches his eye and notifies the other gang members, which sometimes helps out the gang. 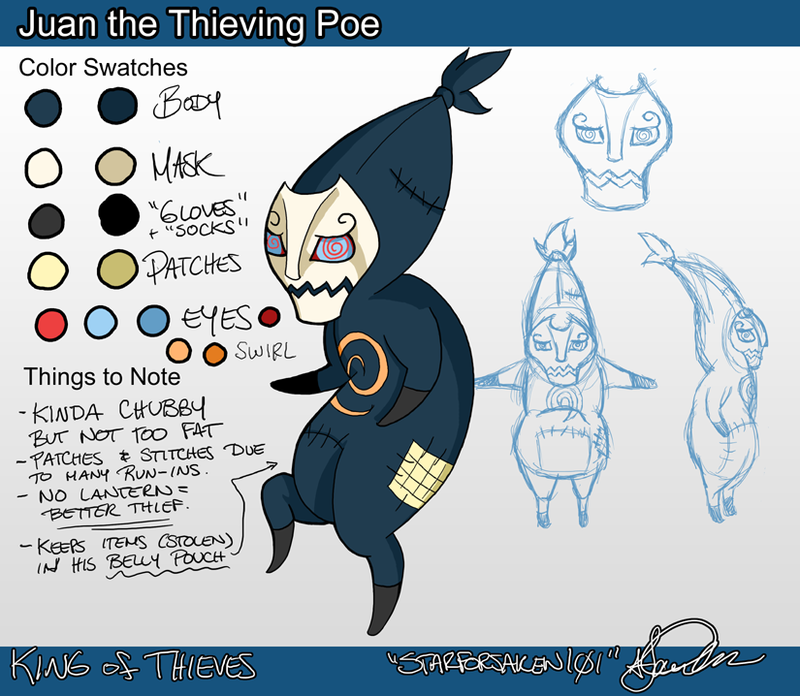 For some reason, he felt like being a part of the gang, the other gangmates allowed him to be a part of the gang, but are always suspicious and intimidated by him, due to him being a poe. It also, helps Jaun out that he can go through walls and is barely visible. He isn't too close with link or the other gang members. He can be shy at times and a pretty simple-minded prankster causing a ruckus around town quite frequently. This page was last modified on 22 September 2012, at 20:48.